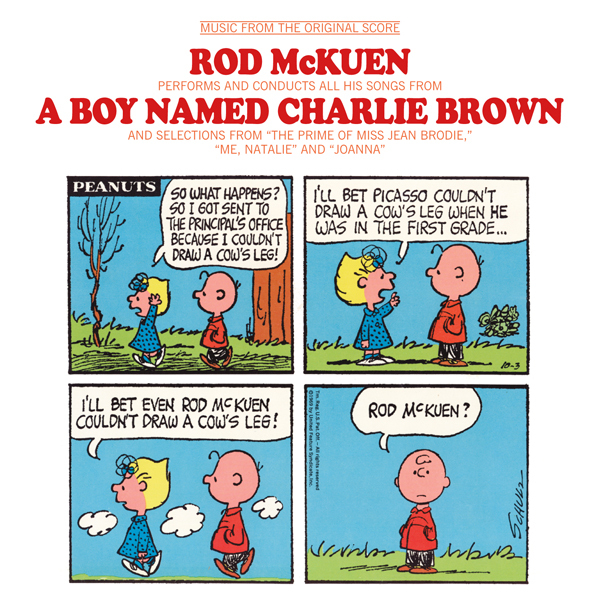 Varèse Sarabande will release Rod McKuen Performs and Conducts All His Songs From A BOY NAMED CHARLIE BROWN And Selections From THE PRIME OF MISS JEAN BRODIE, ME NATALIE And JOANNA digitally and on CD June 23, 2015. The album includes liner notes written by McKuen shortly before he passed away earlier this year. 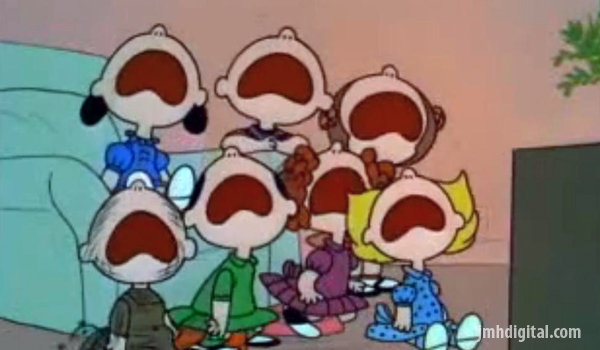 A Boy Named Charlie Brown marked the feature film debut of the beloved Charles Schulz characters. Charlie Brown is selected to participate in a national spelling bee – but will he suffer from his bad-karma and be able to win? In addition to the songs from A Boy Named Charlie Brown, the release includes songs from other McKuen film scores for the THE PRIME OF MISS JEAN BRODIE, ME NATALIE and JOANNA. 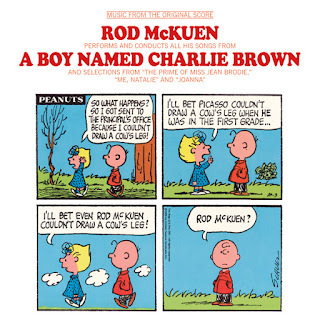 Varèse Sarabande presents Rod McKuen Performs and Conducts All His Songs From A BOY NAMED CHARLIE BROWN And Selections From THE PRIME OF MISS BRODIE, ME NATALIE And JOANNA digitally and on CD June 23, 2015.